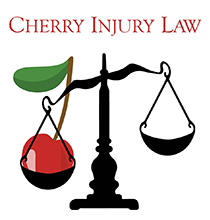 The injury attorneys at Cherry Injury Law have devoted a large portion of their law practice to defending the rights of injured workers throughout the state of Pennsylvania. We are proud to represent injured workers and help them get the money they deserve. Any worker who has sustained an injury arising out of and in the course of their employment has a potential workers’ compensation claim. $4.6 million settlement for a client, who suffered a traumatic brain injury while working as a landscaper, to cover his ongoing care. The 21-year-old landscaper was struck in a hit-and-run car accident while working for the landscaping company and he suffered a traumatic brain injury. $375,000.00 settlement for a client who suffered extensive injuries in a fall at a nursing home where he worked as a food service director. $325,000.00 settlement for a client (25-year-old machine operator) who suffered the elbow amputation of his left elbow when his left arm was caught in a stone crushing machine. In addition, the client’s third party product liability claim against the machine’s manufacturer settled for several million dollars. $233,025.44 settlement for a client who, as a new car delivery driver, suffered multiple back injuries over the course of his ten year employment. $200,000.00 settlement for a client (union heavy equipment operator) who sustained a traumatic right knee injury caused by repeatedly banging her knee against the cab of the highway grader that she drove. Note: Every case is fact specific and these reported results do not mean, guarantee or imply that similar results would be obtained in a different case. Our strong commitment to the well-being of injured people and our exceptional track record of success set our law firm apart. If preparation is the key to success in personal injury law, we are ready to open doors wide when it comes to convincing a claims adjuster, judge or jury that a client of ours deserves full compensation for a devastating injury. We sincerely believe that no one can outwork us as we diligently review medical records and communicate with medical professionals and other expert witnesses as needed to build strong cases. 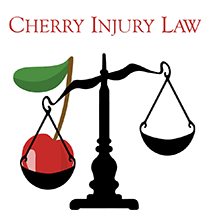 $4.3 Million Settlement: Cherry Injury Law settled a liquor liability case for $4.3 million on behalf of a 46-year-old woman in Jane Doe v John Doe and Dilworthtown Inn and Blue Pear Bistro. Read more about why you should hire our injury attorneys to represent you. To contact us, call 610-816-0366 or 215-660-4813. The Philadelphia injury attorneys at Cherry Injury Law have devoted a large portion of their law practice to defending the rights of injured workers throughout the state of Pennsylvania. We are proud to represent injured workers and help them get the money they deserve. Any worker who has sustained an injury arising out of and in the course of their employment has a potential workers’ compensation claim. $325,000.00 settlement for a 25-year-old machine operator who suffered the elbow amputation of his left elbow when his left arm was caught in a stone crushing machine. In addition, the client’s third party product liability claim against the machine’s manufacturer settled for several million dollars. $200,000.00 settlement for a union heavy equipment operator who sustained a traumatic right knee injury caused by repeatedly banging her knee against the cab of the highway grader that she drove. Contact a Media Workers’ Compensation Lawyer Today. We Can Help You. If you have been seriously injured in the state of Pennsylvania by the negligence of another and if you have questions or concerns about your legal rights, please don’t hesitate to call. Our Pennsylvania injury attorneys are available 24 hours a day to speak with you, and we welcome all calls or e-mail inquiries.